Hi there Doodlebug Fans! Winter is upon us and I for one am thrilled! 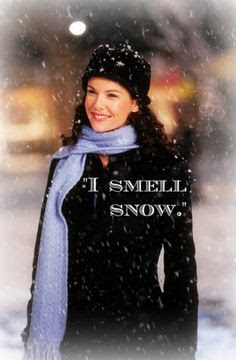 Christine joining you today and with the challenge to create a project based on a meme I decided to incorporate two of my loves: snow and Gilmore Girls! I dug into my Polar Pals stash and created this Winter layout. It was based on this Meme - using both the quote, the snow theme, and Lavender scarf as inspiration! 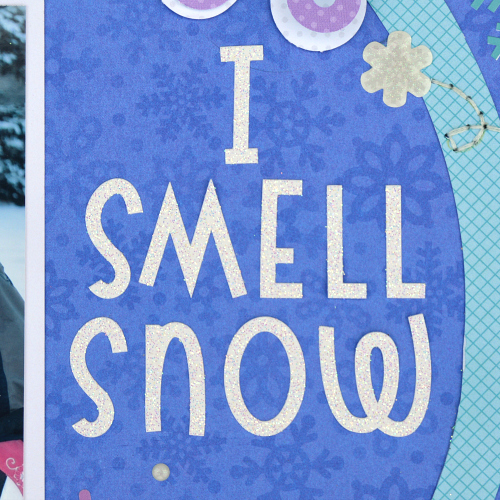 You can't go wrong with snowflakes and I played with a variety of them on this layout. I used a variety of sizes and colors so none overwhelm the other. I love this quote and thought the Shin Dig Sugar Coated letter stickers were perfect for it! Rather than add more sprinkles to the layout I decided to go with sequins for some extra sparkle. I thought that lended itself well to the sparkly effect of snow. Gorgeous page Christine! I love yhe Gilmore girls and love that you used that quote! Love!!! Perfect quote, love GG!